Want #Healthy Halloween Treat Recipes? Trick or Treat doesn’t have to be all about sugar and candy. This is such a nightmare for parents as kids tend to be hyper from sugar rush and if they forget to brush their teeth, a visit to the dentist is inevitable. Add to that, adults who are watching their weight will forget their diet when Halloween season rolls around. How about some healthy treat alternatives to serve at your party or to give out in loot bags? Make your own candy corn, pumpkin pie cupcakes, cookie dough bites. 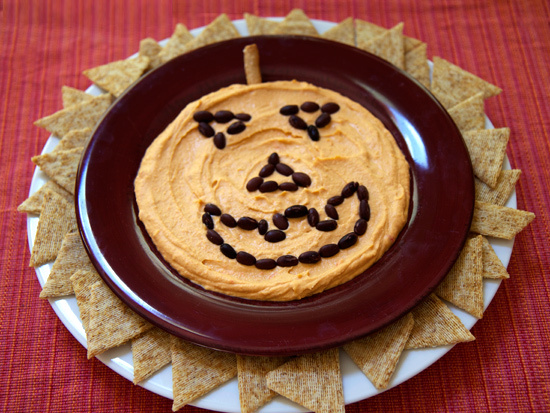 Serve some hummus Jack O’Lanterns as appetizer. Munch on candied spiced pumpkin seeds or slurp on pumpkin caipirinha. These #healthy Halloween treat recipes will surely make your celebration a hit! You won’t even miss the sugar! The never-ending deluge of Halloween junk food can make it hard to stick to any healthy-eating resolutions. Thankfully, there are fun ways to say no to the candy bowl while still feeling like you’re indulging. Read on for over 40 healthy smoothies, candies, shakes, snacks, and other treats that’ll make your Halloween happy and healthy!